PESHAWAR, Pakistan — At least 23 people were killed and more than 75 injured Tuesday when after a motorcycle-riding suicide bomber attacked a government office in Pakistan, officials said. A Pakistani Taliban faction claimed responsibility for the attack on a branch of the National Database and Registration Authority (Nadra), which issues government ID cards, in Mardan, Khyber Pakhtunkhwa province. "A suicide bomber riding an explosives-laden motorcycle hit the Nadra office in Mardan where a large number of people were standing in queues," police officer Naeem Khan told Reuters. At least 23 people were killed and about 75 were wounded, more than 25 of them critically, said Bilal Ahmad Faizi, spokesman for Rescue 1122 emergency responders. Nadra employee Mohammad Tariq heard the huge blast outside the premises. "We are still inside the office, and the police and rescue workers are busy in their work," he said. Jamaat ur Ahrar, a Pakistani Taliban faction fighting to overthrow the government and establish hardline Islamist rule, claimed responsibility. 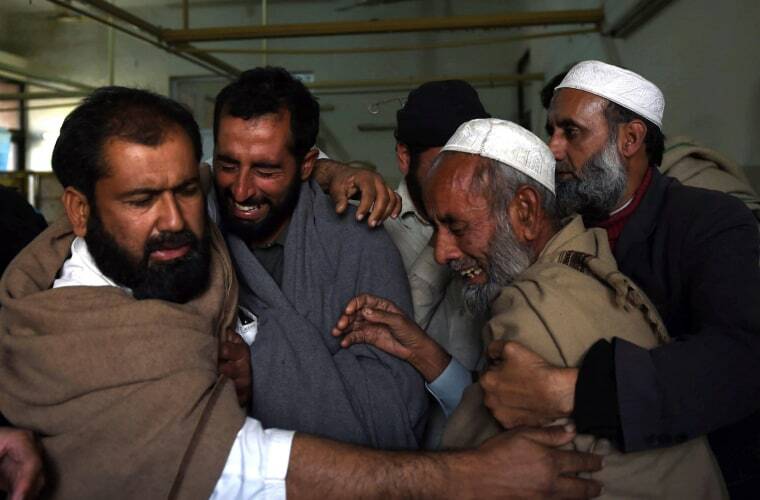 Spokesman Ehsanullah Ehsan said the office was part of the "heathen Pakistan state" and therefore a legitimate target. Pakistan's Taliban once controlled swathes of remote territory in the northwest, but a series of military offensives that began in 2009 has pushed them back into a few pockets.